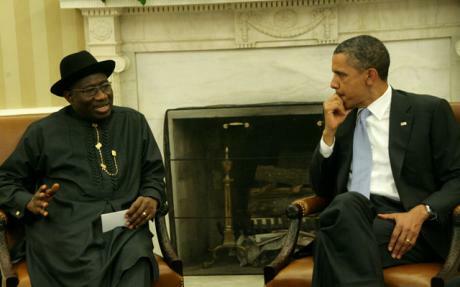 Former president Goodluck Jonathan has revealed the sordid role played by then American president, Barack Obama, fake news peddlers and former governors of the Peoples Democratic Party (PDP) who defected to the then opposition All Progressive Congress (APC) that cost him his reelection bid in 2015. He claimed Obama meddled in the poll when he sent his secretary of state, John Kerry, and made a video broadcast to Nigerians in ways designed to influence the outcome of the election against him. Jonathan, who was trailing by over two million ballots conceded defeat to President Muhammadu Buhari while the final results were yet to be announced. In his book, ‘My Transition Hours’ launched, yesterday, in Abuja, Jonathan wrote: “This time around, there were governors who were rounding off their eight years tenure and were blinded by ambition. According to the former governor of Bayelsa, most of the governors and other prominent members of the former ruling party who plotted against him are now being victimised in the APC. He also said he faced a barraged of opposition from Northern leaders and socio-political group who felt he was usurping power from the region. He said these northern power blocs had tried to deny him of his constitutional right of replacing the late president, Umaru Yar’Adua, who died in office, in 2010. He said he faced unending insults during his tenure and one that was particularly surprising to him was the tagging of his presidency as “clueless” despite a number of firsts the country recorded during his tenure. “I can recall that President Obama sent his Secretary of State to Nigeria, a sovereign nation, to protest the rescheduling of the election. John Kerry arrived in Nigeria on Sunday January 25, 2015 and said, ‘it’s imperative that these elections happen on time as scheduled’.